Customized approach to manage your computer and network needs, allowing you to stay focused on your core business. Let us be your IT department. How confident are you that you would pass a HIPAA audit? 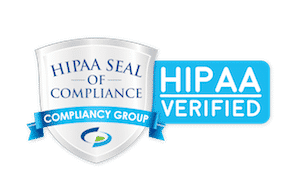 "Health and Human Service" shows that 70% of health care entities are not compliant, are you doing everything you can to address HIPAA in your organization? The Guard is a total compliance solution that addresses everything from self-audits, to business associate management, to policies, procedures, and training. Find out how simple compliance can be now! nCompass Networks offers a variety of technology solutions tailored to meet the needs of any business or organization. We have been providing Information Technology solutions in West Virginia, Kentucky & Ohio for over 30 years. nCompass Networks offers products, services and support to a variety of clients ranging from large corporations, State & Local Government, Education & Institutions and small/medium businesses, just to name a few. We’re invested in working together, and our clients reap the benefits. It's this collaborative, team approach that sets us head and shoulders above our competition. nCompass Networks helps our clients support their business goals and solve operational challenges through the implementation of custom services. We offer a tailored mix of systems installation, network design and IT support services that achieve successful business outcomes. to implement solutions that impact the bottom line, saving you time & money. © Copyright 2005 nCompass Networks. All Rights Reserved.